I’ve said it before, and I’ll say it again…Man, I Love being a Turtle. Haha – just kidding. What I meant to say is that I love Limited Time Holiday Offerings. Throw that label on that, fancy up the packaging, and it will be in my cart. For the pure sake of Grandma’s Backyard, of course. Right around Halloween, I read (get this oxymoron – I read a number of food blogs, daily, in the morning while I am doing weights/inside cardio) that Pringles would be coming out with Pumpkin Pie Spice Pringles. Well, after searching and searching, I finally found not only the Pumpkin Pie Spice but, also the Cinnamon Sugar Pringles in Wal-Mart. Schwing. I grabbed the two canisters and rapidly power walked to the checkout – it was 6:00am on a Saturday morning in Wal-Mart after all…someone might try to grab them from my hands. Later in the day, I decided to open up the Pringles and try them out. I started with the Pumpkin Pie Spice since, this was the flavor I had been waiting for. Removing the safety cap, I found the flavor of pumpkin, cinnamon and nutmeg to be lightly drifting out of the can. Now, from my days of Organic Chem, I remembered to waft the flavor toward my nose rather than inhaling it. By doing so, I felt like I was in for a good ride – the pumpkin pie spice flavors were all there. I removed a few Pringles from the can, took some photos, and placed the first one in my mouth. 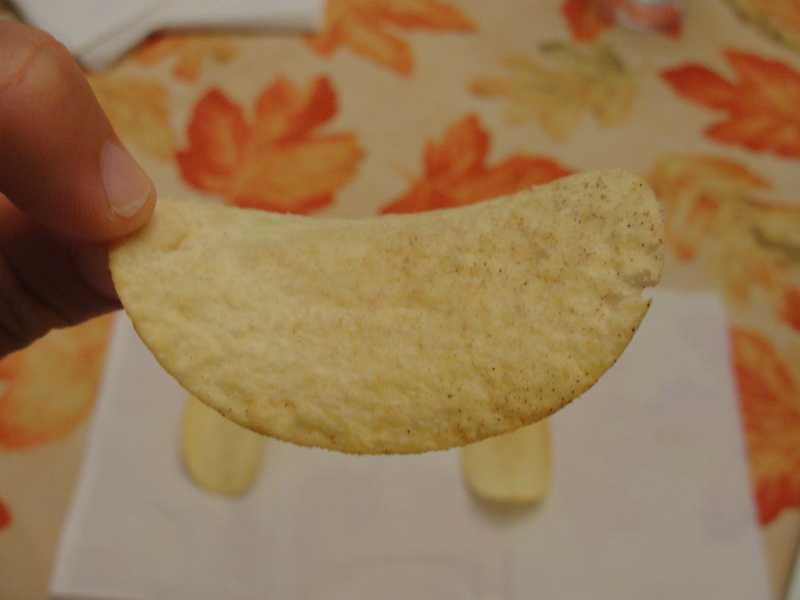 After chewing and eating this, I felt like I had just eaten a regular plain Pringle. Then, for some reason, I licked my lips. Ahh! There was the Pumpkin Pie Spice flavor! All over my power-laden lips! As I stuck the next few chips in my mouth, I began to chew them and lick my lips, in a nearly simultaneous fashion. Yes, I may have dribbled a little bit but, overall, I did a pretty nice clean up job. This allowed me to enjoy the true Pumpkin Pie Spice flavor with the plain Pringles. I wouldn’t say I loved this, but, they were good enough that I have been nibbling on them a little at a time. Upon opening the Cinnamon Sugar Pringles, I felt like I was a seasoned pro. From the very first Pringle I tried, I knew that licking my lips would be the key. And by doing so, I enjoyed these chips. I’d say I liked them just as much as the Pumpkin Pie but, the flavor of these may have been a bit more subtle. While the Cinnamon stood out, the Sugar was a bit more on the lacking side. I ended up only eating 3 of these chips, during my sample, and not eating the rest. It’s not that I didn’t like them, it’s just that I liked the Pumpkin more. It almost felt like Pringles was laying it all out with the Pumpkin then, backing down just a bit with the Cinnamon Sugar. 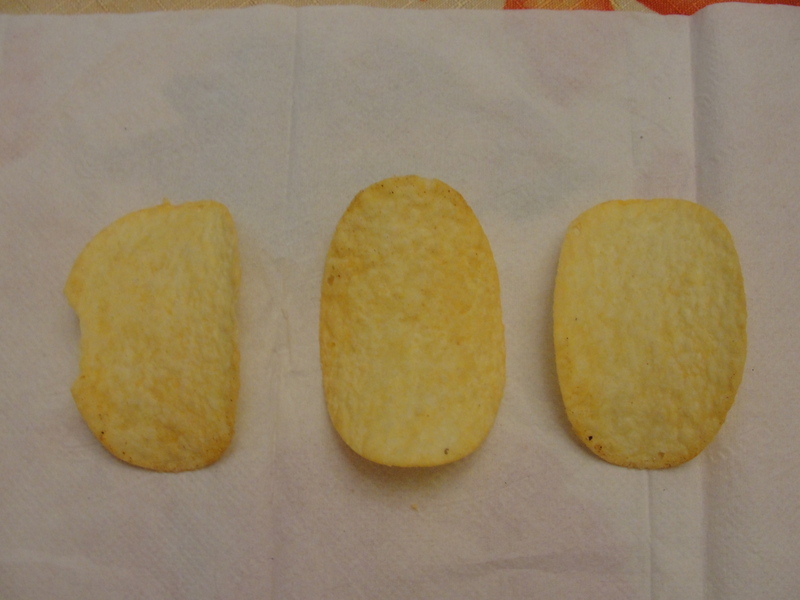 C’mon Pringles…grow a pair! Since I purchased these Pringles, I have not seen them anywhere again. It’s a good thing that I grabbed them, threw caution at the wind, and brought them home. 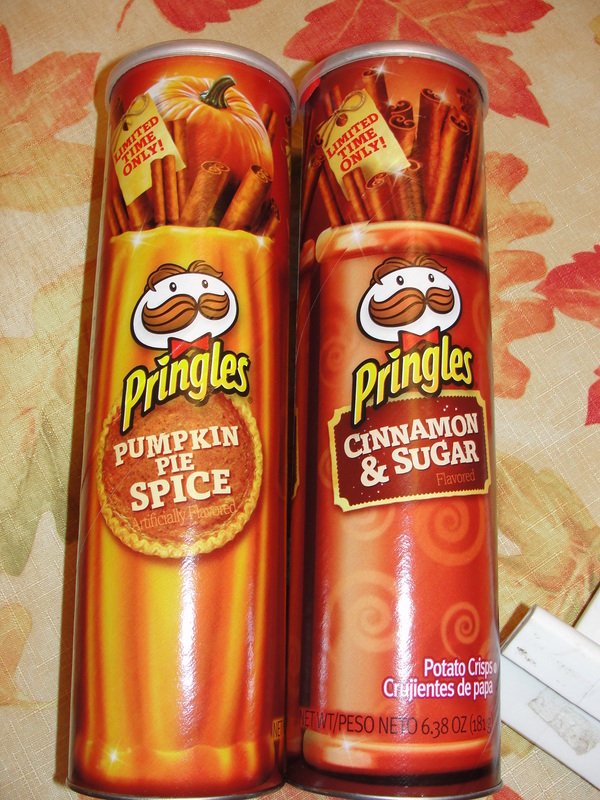 While I am glad that I got to try both the Pumpkin Pie Spice and Cinnamon Sugar varieties of Pringles, I don’t think I would go out of my way to have either of them again. They were pretty good but, just nothing that amazing that I need to spend calories on them. Plus, the whole licking your lips while chewing thing, is not very lady like. Just remember, whenever you see a Holiday Limited Time Offering, just purchase it. You never know…it may cause your very own Lick Lipping. Don’t think I could have eaten those! You def could have done it! !